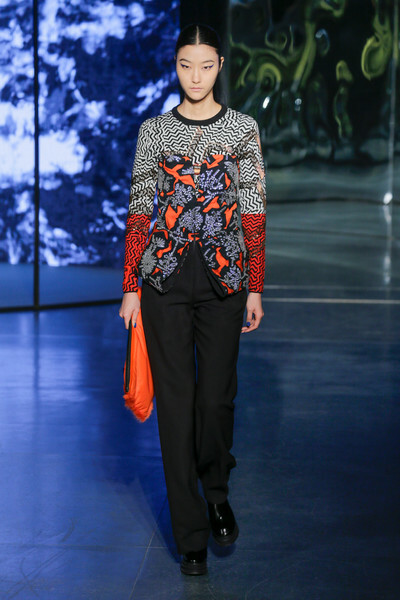 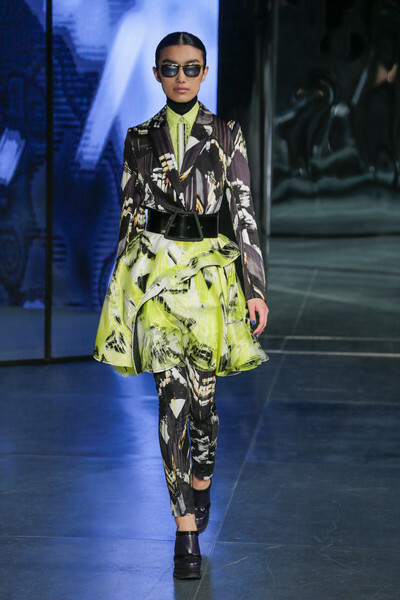 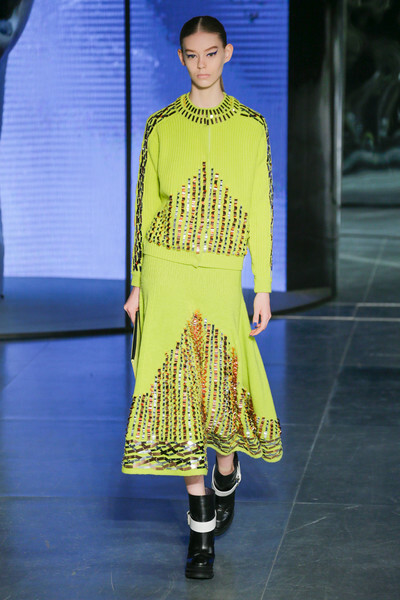 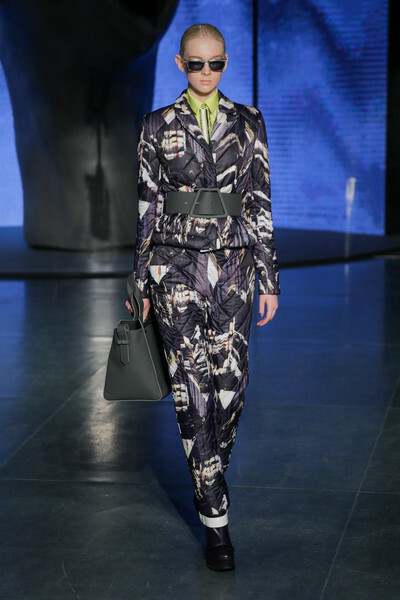 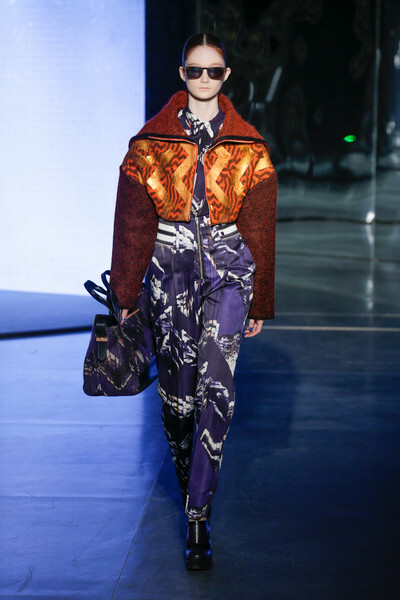 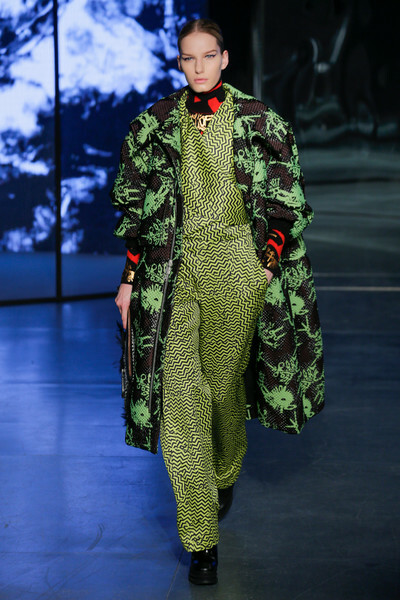 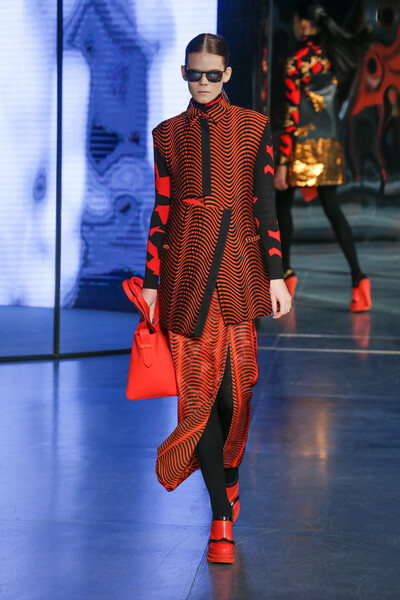 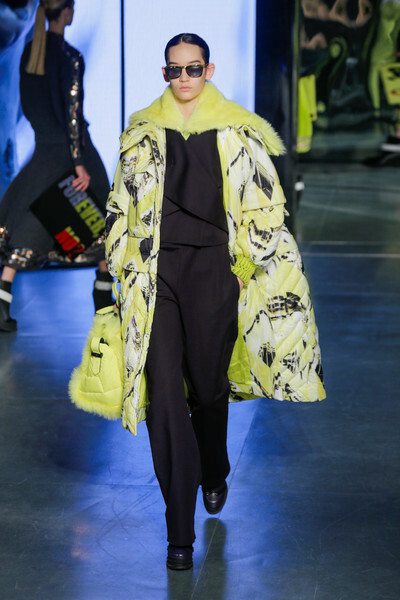 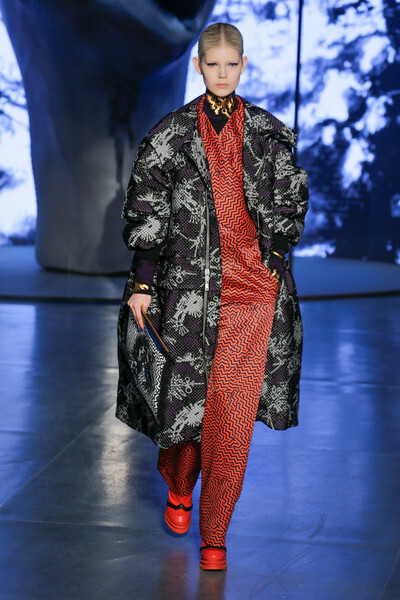 Busy printed, bright colored and architecturally shaped; Carol Lim and Humberto Leon’s collection for Kenzo, inspired by the movie Mulhulland Drive in a nutshell. 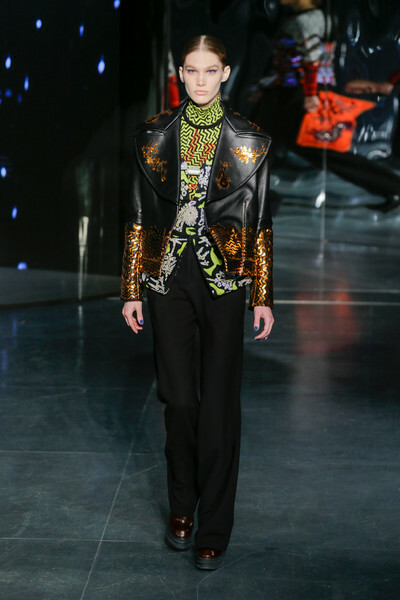 “Wild at heart and weird on top”, the designers called it and really, we couldn’t come up with a better description. 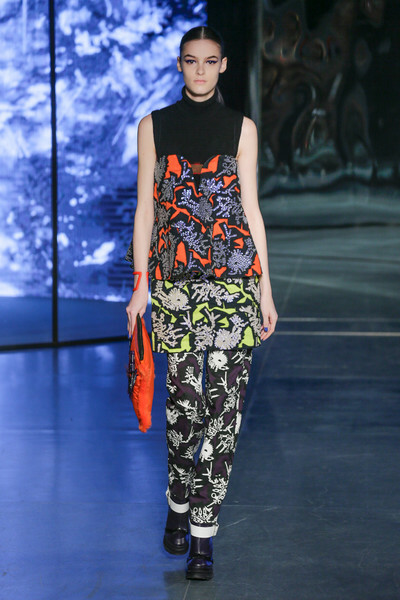 Prints looked animal inspired, yet weren’t. 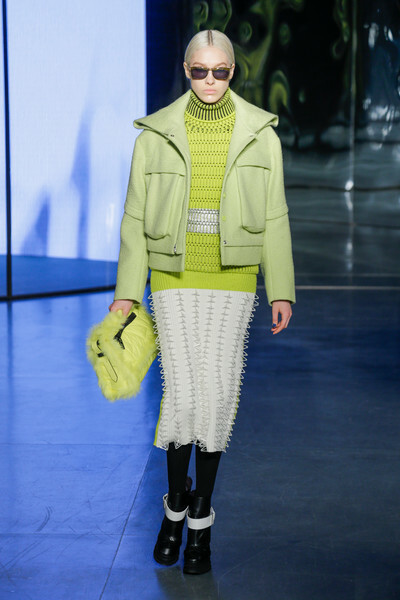 The color palette had warm shades of red, gold and purple it in, as well as different hues of (fresh) green. 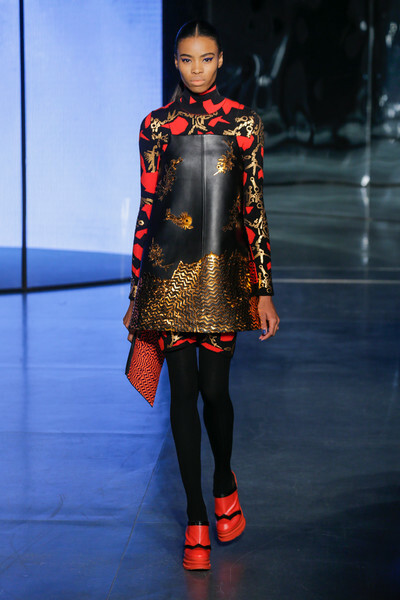 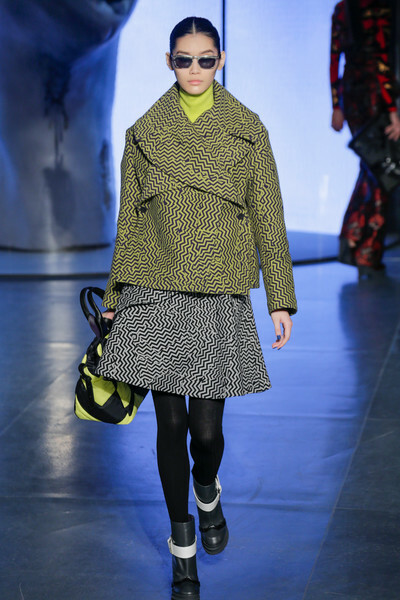 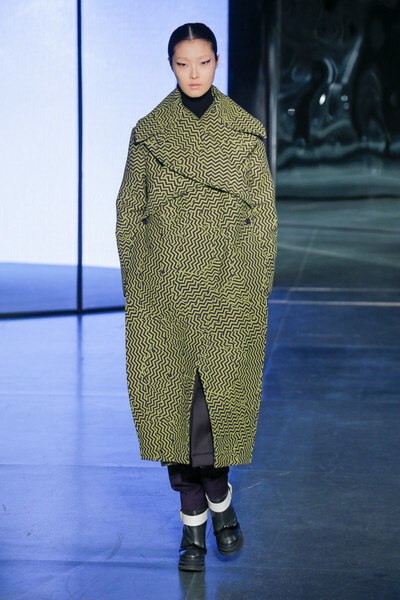 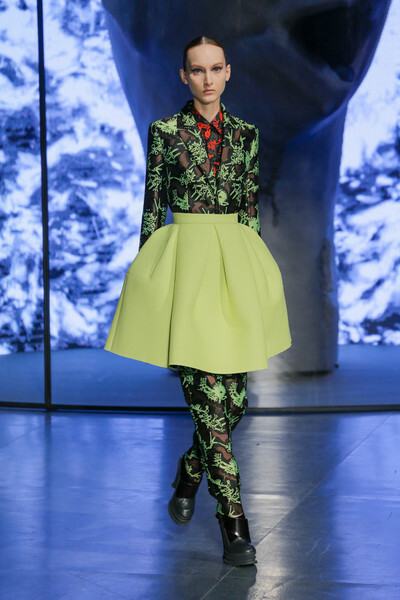 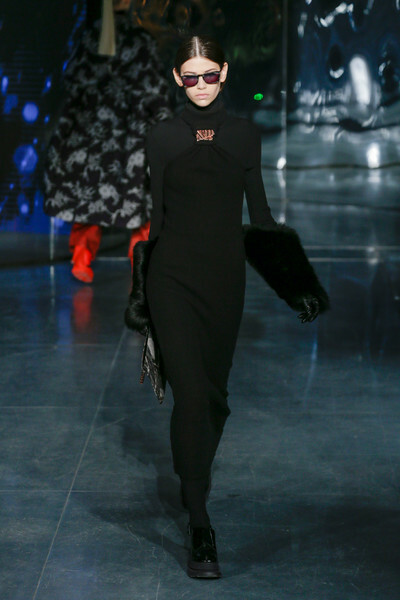 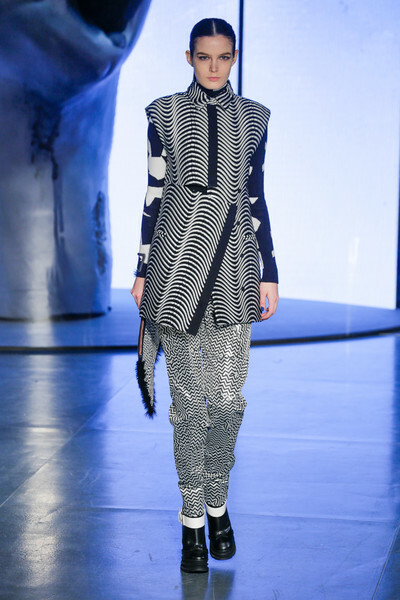 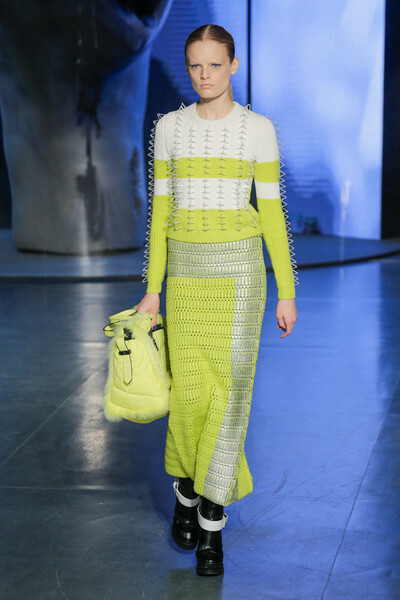 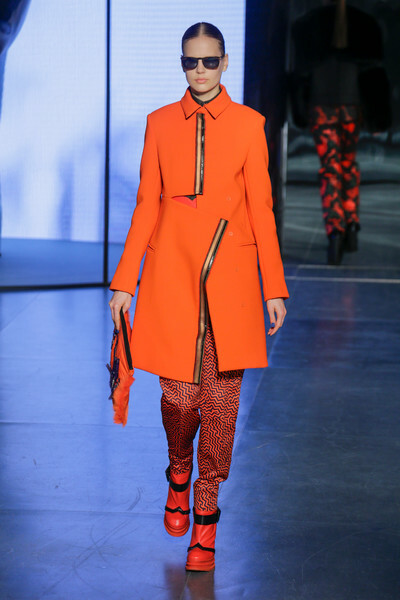 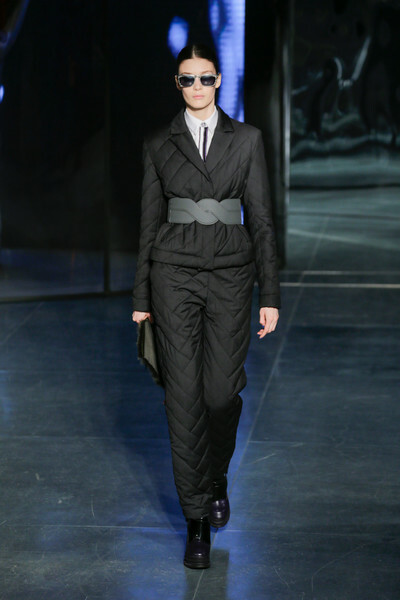 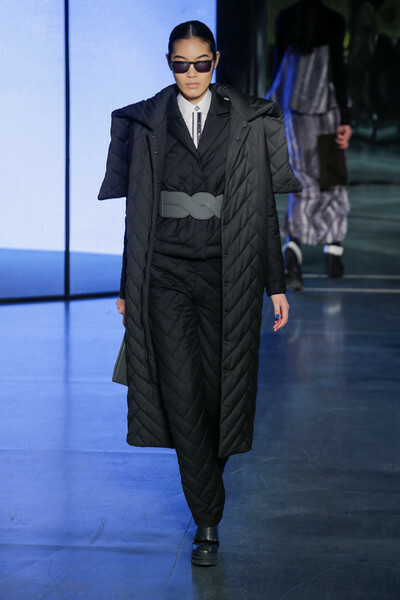 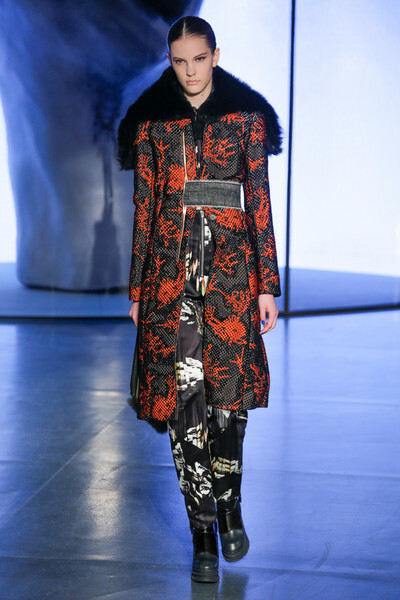 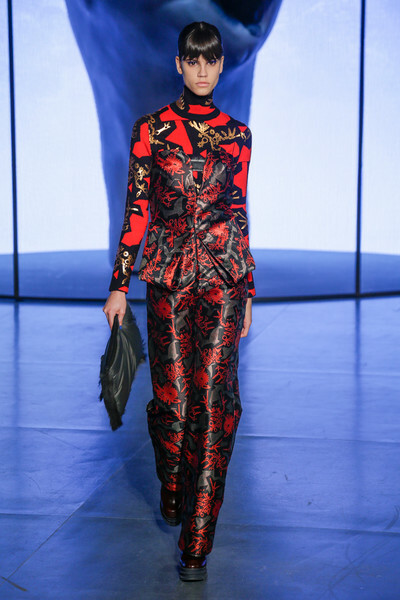 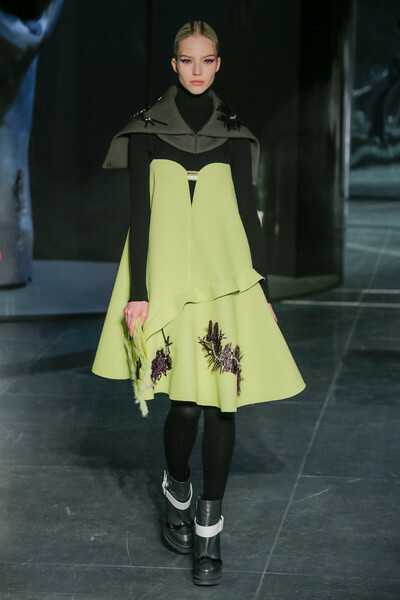 The silhouette switched between long and lean and structured (flared skirts and 3D coats). 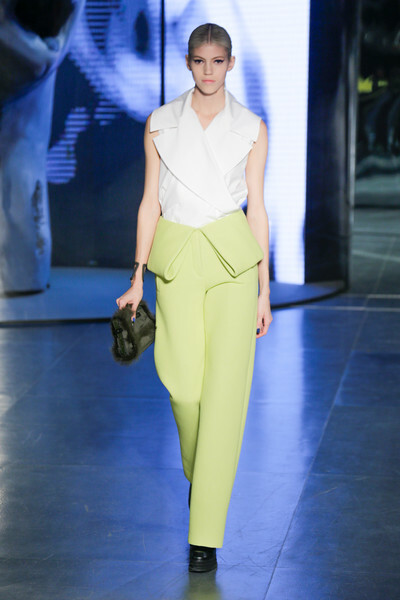 Some looks appeared minimalistic, others over the top. 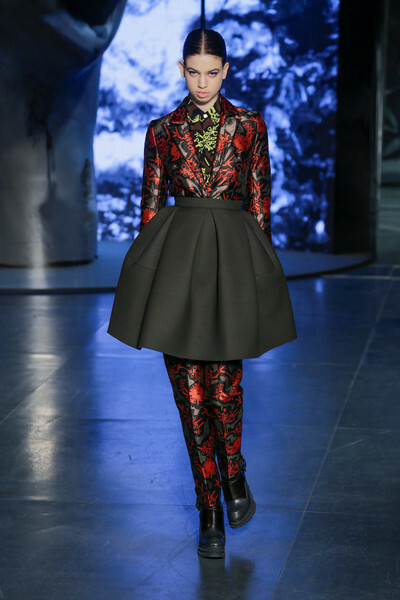 Peplum jackets, tailored waistcoats, high waisted pants, jumpsuits, strapless (apron) dresses, biker jackets and flared dresses, mostly created out of real winter materials like heavy wool and thick rubberized leather were all in the wild & weird mix.